The purpose of Acumen Panel is to get paid for your opinion by earning rewards for sharing your views with us, and we’ve a number of different ways to earn those rewards. You can earn points for completing member surveys and you also earn 10 points for some of the members profile surveys you complete. 100 Sharepoints is worth €1 to spend in our Sharepoints store, and you will receive Sharepoints with each survey you complete on Acumen Panel. Our Sharepoints store is run through www.allgifts.ie, where you can use your points to purchase products or vouchers for retailers such as amazon.co.uk, Tesco.ie and many more or donate to charity. What do I get for my sharepoints? When you receive your AllGifts.ie voucher you can use it to spend on anything available from the very extensive range of gifts available from www.AllGifts.ie. With an AllGifts.ie Voucher Gift, you can receive your voucher by e-mail, text or print-out, giving you access to your vouchers when you want them. You can also swap your Voucher Gift for any other gift on the website, giving you total flexibility. How do I redeem my sharepoints? Once you have earned a minimum of 1,000 Sharepoints, you can begin to redeem them. At this point, you will have a new option available within your Acumen Panel account. 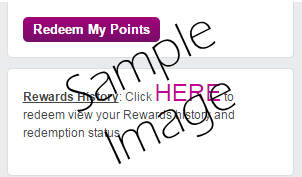 Once you log in to your account using your email and password you will now have a "redeem my points" button on the right hand side of the home page (as shown in the image below). Clicking on this button submits a redemption request with us, your points will be validated and transferred with the requested voucher amount then being sent from Allgifts.ie (please do check your promotions or junk mail folder if it is your first time redeeming - the email will be from allgifts.ie). How do I use my Allgifts.ie Reward Voucher? Click on Redeem your Voucher on the top right hand side of the AllGifts.ie homepage. Open an account and enter the Voucher code. Once you have redeemed your Voucher, you can then order any product, service or gift card for delivery, collection or make a booking by clicking Spend from my Account and following the instructions. Can I save up my Reward Vouchers and spend them together? Each Reward Voucher is valid for 12 months from date of issue. When you store a reward voucher in your AllGifts account, you will be sent email alerts before the voucher expires. How do I order an item for delivery? Once you have redeemed your Voucher, click on Spend from my Account. Confirm your order and delivery address, and select the delivery option. Please note, delivery costs may be charged separately by the gift partner on physical products (i.e. non-gift card deliveries). You can use the reward partner contact details provided to check the delivery costs before you order. Complete the checkout process to order your ordered item for delivery. The reward partner will dispatch the item directly to you, and you will be sent a confirmation email with the reward partner contact details for any delivery queries you may have. How do I order an item for collection? Click on Redeem your eVoucher on the top right hand side of the AllGifts.ie homepage. Open an account and enter the Voucher code. Confirm your item choice and select the Collection option. Please note, you cannot collect from the reward partner until they have confirmed that your item is ready for collection from their premises. Complete the checkout process to order your item for collection. The reward partner will contact you shortly to arrange for you to collect your ordered item. You will also be sent a confirmation email with the reward partner contact details for any collection queries you may have. Confirm your item choice, select the Booking Option. At this point, you will be given the reward partner contact details to check availability directly with them. Once you have found a suitable date, you enter this date into the booking date/time field. Complete the booking process. The reward partner will contact you shortly to confirm your booking. You will also be sent a confirmation email with the reward partner contact details for any booking queries you may have. Can I make up for the difference in cost? If your selected item costs more than the balance of your account, you can pay the difference by Laser Card, VISA or MasterCard. The reward partner will dispatch the item directly to you, and you will be sent a confirmation email with the reward partner contact details for any delivery queries you may have. How long is my reward voucher valid for? Your AllGifts.ie Voucher is valid for 12 months from the date it was bought. 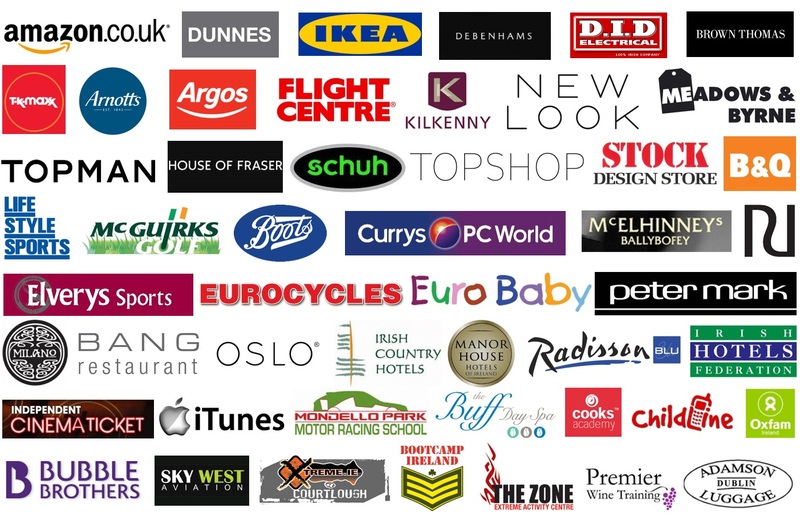 We recommend you store your gift voucher in an AllGifts.ie account. Not only is this more secure, it also means that you will receive alerts if your Voucher is going to expire. If you use your Voucher to order a gift card from any of our reward partners, you will be sent a partner-specific gift card, which will be valid for another 6 & 12 months (depending on the particular reward partner). How are delivery costs charged? If you choose the delivery option when ordering a physical product (not a service or gift card), the reward partner may charge you separately for delivery. Delivery charges depend on the reward partner you are ordering from, the size and weight of the product, and the distance from the reward partner. You can see if there are any delivery costs before you place your order by clicking on the Delivery Information link for that reward partner. You will also be able to contact the reward partner directly to get the exact delivery cost before you place your order. Gift cards and vouchers are delivered by post free of charge, and all gifts can be ordered for collection from the reward partner free of charge. How do I order a reward partner gift card? Complete the order, and the Reward Partner will post you out their gift card within 10 days. For more information on all our rewards, please see the Reward Rules page.